Dutch animated film Kop Op (heads together) has won the Kids Emmy Award for best animation at Tuesday evening’s ceremony in Cannes. The film, by studio Job, Joris en Marieke, is about three friends with different cultural backgrounds whose lives change when their heads are swapped in a magic washing machine. The voices of the three friends are from Nasrdin Dchar, Steye van Dam and Paulien Cornelisse. Claire van Daal, of the Dutch Film Festival, told broadcaster NOS that Dutch children’s film makers are prepared to take risks. ‘They are not afraid to target sensitive little souls,’ she said. 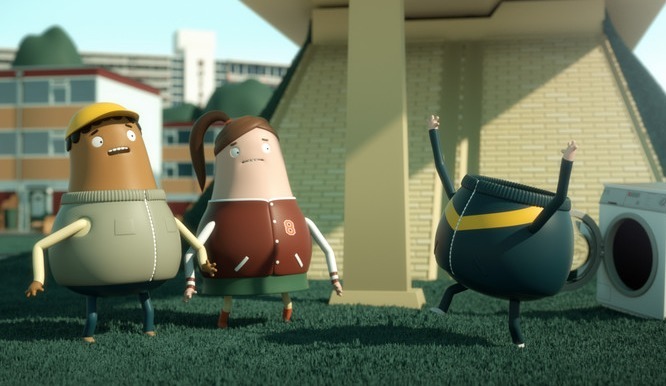 Job, Joris en Marieke were earlier in the international spotlight when their animation film A Single Life was nominated for an Oscar.